By focusing in on two key groups: Team Sports Leagues and The Lunchtime Crowd, how do you help overcome market dominance by Buffalo Wild Wings and other faster service competitors? 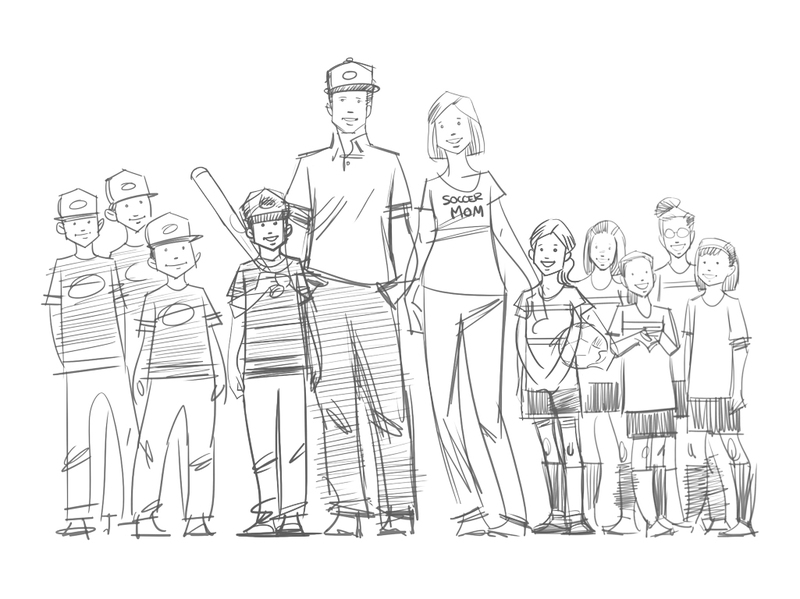 As the official post-game place to go for local sports teams, BW&R offers kids (and attention hungry adults) the opportunity to have their own post-game interview that they, and their parents, can share with family and friends. 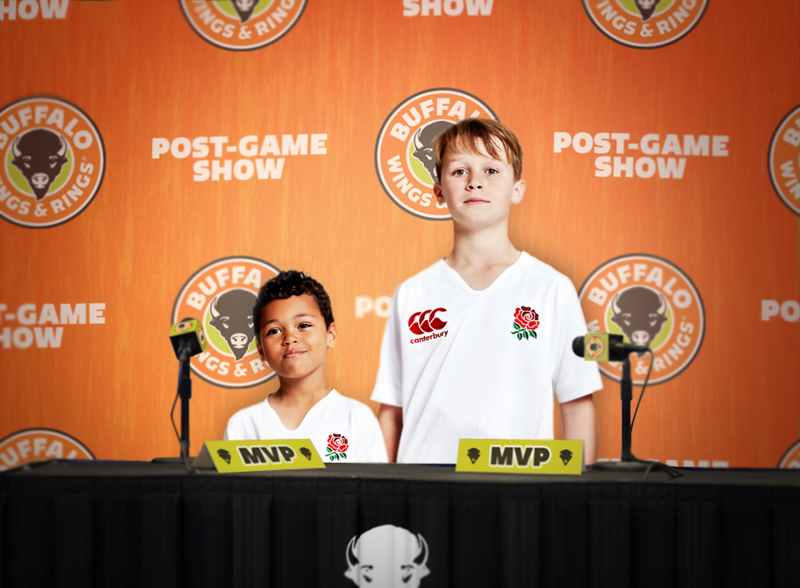 With a simple, branded backdrop, table, mic (fake) and a camera phone, kids are able to create an authentic feeling post game interview just like the pros. Next to each post game booth will be a set of pre-written questions that the “media” can ask the athletes after the game. After kids finish their game, they’re hungry. They’re full of energy and ready to go. The last thing parents want to worry about is sitting at a restaurant with loud, crazy kids waiting to order and when it's a full team, that process takes significantly longer. 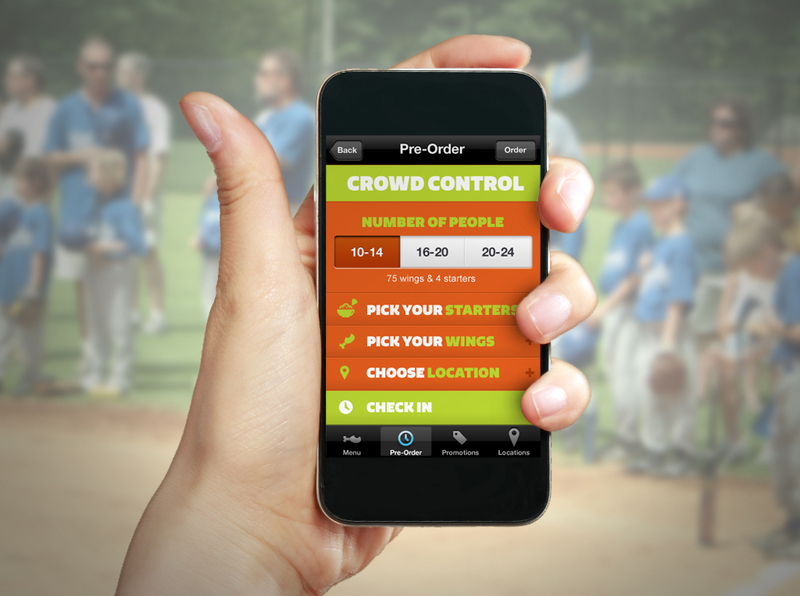 With this app, the coach or parents can place their order a head of time so that once they arrive, they simply check in and the pre-order is sent to the kitchen, so there is more time eating and less time yelling. 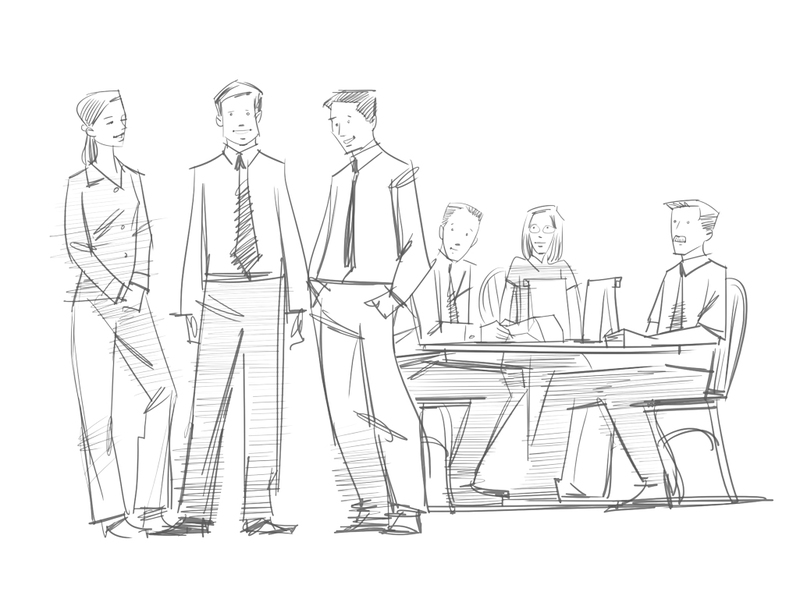 People often like to go to lunch in groups. Those same groups don’t always make quick decisions on where to go, but if there were a large deal, literally staring them in the face, they’d have to take it. Right? 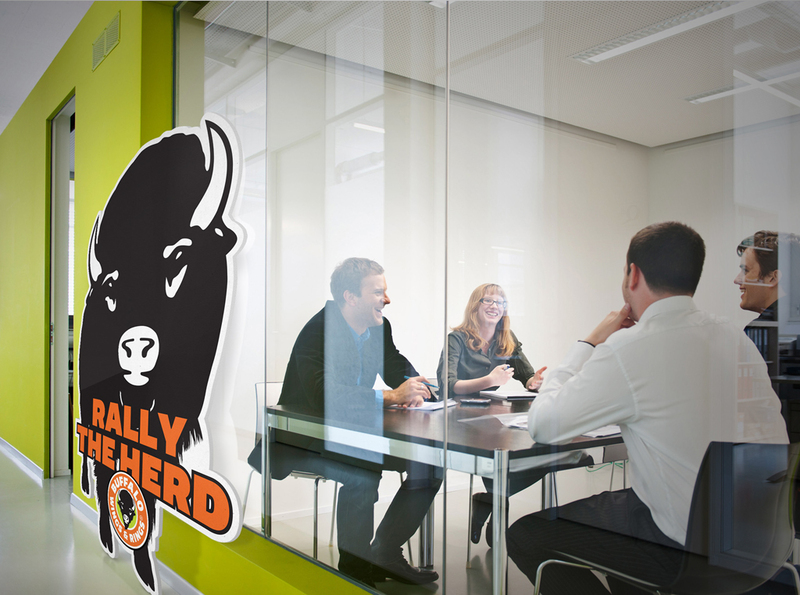 Every day our street team selects a few local businesses to rally the herd. They deliver a buffalo (cardboard cutout) that encourages people to bring more than themselves to lunch that day. The more people they bring in, the bigger the discount they get on their bill. The kicker…they need to bring the buffalo with them.